No matter how you like your oysters—raw, tinned, or fried—Saltie Girl can oblige. It's helmed by a restaurateur who grew up on a boat, solidifying her obsession with seafood, and a chef who's worked in some of the top eateries in Boston and NYC. Together, the duo curates a unique list of specialty tinned seafood, fish-centric small and large plates, and other contemporary American eats. Start your meal with some of the gourmet tinned seafood or perhaps a popular small plate like the torched salmon belly over sushi rice with tomato, tahini, and green onion. Save some room for a toast topped with snow crab, foie gras, or tinned sardines. 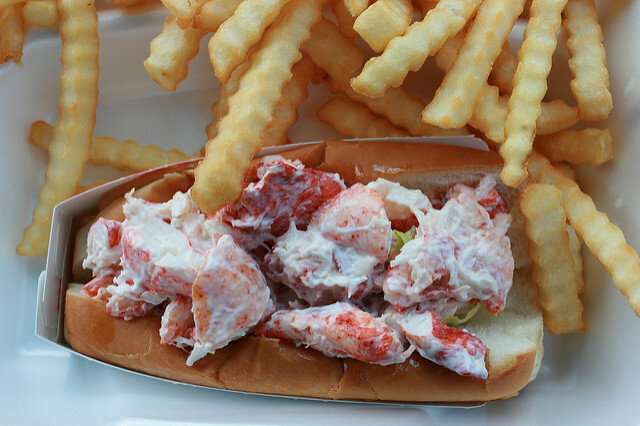 If you're still hungry, dig into the popular Gloucester lobster roll, which comes warm or cold, or the fried lobster and waffles with sweet corn butter and a drizzle of spicy maple syrup.